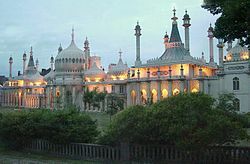 When my sister, ardent reader of Jane Austen and Georgette Heyer, suggested I do my seventh grade report on the Royal Pavilion in Brighton, neither of us knew it would kindle a fascination with the Regency era that would generate two novels (so far!) 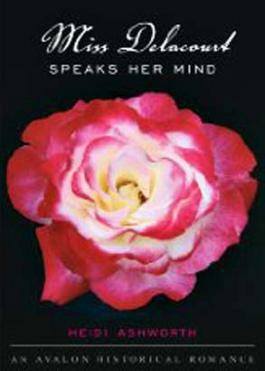 a blog and a penchant for words such as "peckish", "secauter" and "bluestocking". 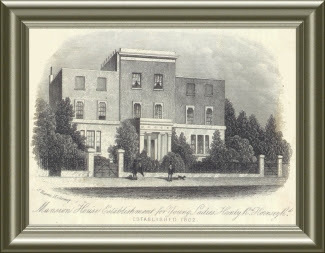 The Regency, that unique and fascinating short-lived world, was created through the influence of three men; clothes-horse Beau Brummel, architect John Nash and "Prinny", the Prince of Wales. 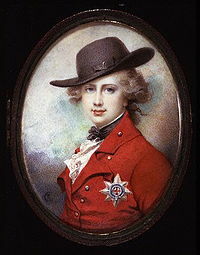 Prinny (later George the IV) led a scandal-inducing life even prior to his appointment as the Regent of the land, a circumstance necessary due to the illness of his father, George III, rendering him incapable of ruling the country. Much of the chatter in the scandal sheets had to do with Prinny's politics, his illegal marriage to Maria Fitzherbert, the antics of Caroline of Brunswick to whom he was legally and unhappily married, and his profligate spending. However it was his interest and patronage in art, architecture, literature and “home décor” that captured my imagination. The moment I read about the miniature river, complete with goldfish, that ran the length of his enormous dinner table at the Taj Mahal-inspired Royal Pavilion in Brighton, I was a fan. Considered a witty conversationalist, Prinny was an intelligent man who spoke French, German and Italian and demonstrated an exquisite sense of style and taste. In addition to the building of the Brighton Pavilion, he was responsible for the purchase of the Elgin Marbles, the terraces of Regent's Park and Regent Street as well as the encouragement of literary greats Jane Austen and Sir Walter Scott. In his younger years, before his enormous girth made him an object of fun, should Prinny deign to attend your dinner party or partner you in a quadrille at Almack's, your reputation was made. If invited to any of his numerous parties at Carlton House in London or, better still, the Pavilion in Brighton, one's social success was sealed. However, as a guest at the Pavilion, one had some choppy waters to navigate. It was not uncommon for ladies to faint from the heat of thousands of candles or to be forced to endure the unwanted attentions of the regent's randy friends and acquaintances. However, I would gladly brave such unpleasantness for the opportunity to take in the opulence of the Pink Hall with its hand painted wallpaper and stained glass, domed ceiling, or the fresco-bedecked music room, the incredible Gothic style domed stables or for a chance to bask in the glow of just one stupendous candelabra. Prinny was not one to look askance at his titles and honors and he enjoyed dressing up in full regalia. His honors and military appointments have highly romantic names such as Knight of the Garter, Knight of the Thistle, Privy Counsellor and Knight of St. Patrick, as well as Field Marshal, and Colonel of the 10th Royal Regiment of (Light) Dragoons (Hussars), the Prince of Wale’s Own. He enjoyed his 1822 visit to Scotland so much that he proceeded to appear in a kilt on a regular basis, bringing the Scottish tartan into fashion long before his niece, Queen Victoria, made all things Scottish de rigueur. 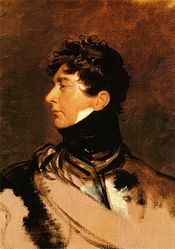 Prinny became George IV in 1820 but his excesses soon caught up with him and by the time he became king he was heavily overweight and suffering from gout, arteriosclerosis, dropsy and possibly porphyria, the ailment from which is father suffered. His only legitimate child died of post-partum complications in 1817, leaving him without an heir. 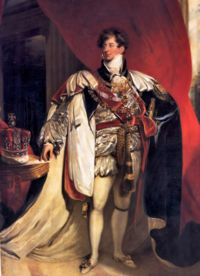 His brother, Prince Frederick, died in 1827 so George the IV was succeeded by the third eldest son of George III, Prince William as William IV. Prinny’s last words, spoken on June the 26th of 1830 at Windsor, are purported to be thus: “Good God, what is this?” Clasping his page’s hand he said, “My boy, this is death.” Buried at St George’s Chapel, Windsor, he left behind a fantastic legacy uniquely known as The Regency. 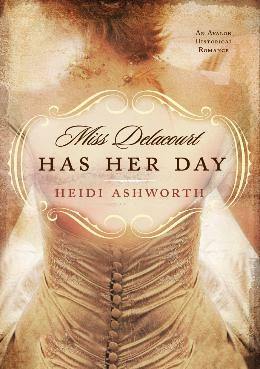 Heidi Ashworth wrote her first Regency novel at age 10, and in her twenties' wrote several more. After several years devoted to other roles, she returned to writing, submitted Miss Delacourt Speaks Her Mind to Avalon Books and sold it. 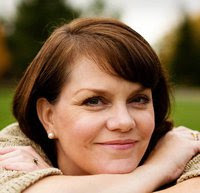 Shortly thereafter, she started a blog and a website which you can visit at http://www.heidiashworth.com and http://www.heidiashworth.blogspot.com/! I have just discovered an artist new to me! His name is Frederic Soulacroix. He was born to the wife of well-known painter and sculptor Charles Soulacroix in Rome in 1858. He passed most of his life in Italy and France and he lived a long life, passing away in 1933. 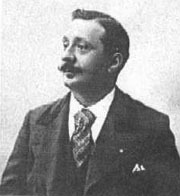 Frederic studied in Italy, and achieved great popularity, selling to private customers from all over the world. 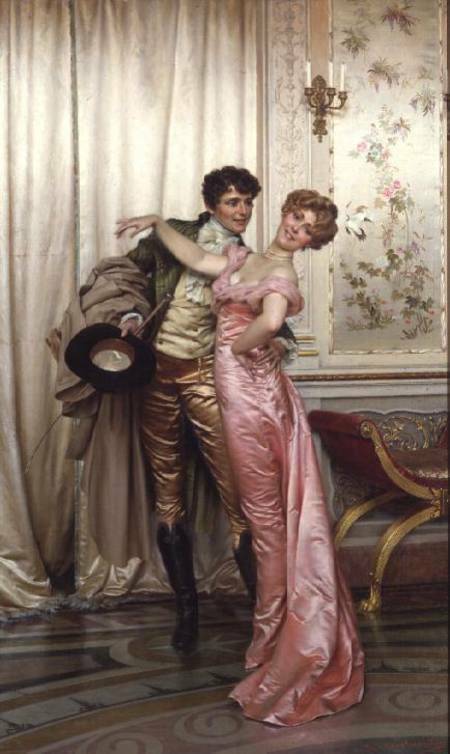 On my website, I have a section devoted to Modern Illustrators of the Regency Period. 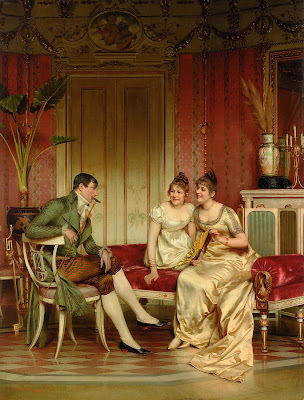 I have included Barbosa, Brock, Thomson, Greenaway, John Goodall and Joan Hassell among the artists with their own unique vision of the Regency period. I have not yet included E. B. Leighton; Vic at Jane Austen's World has a very good post about his work (which, I must confess, I adore). 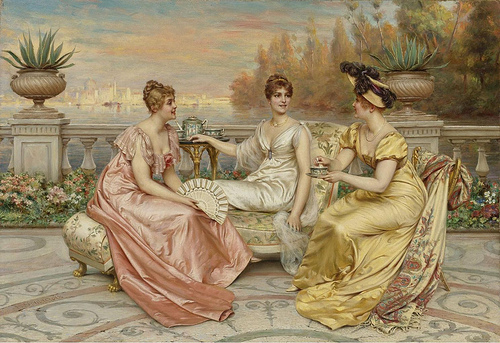 To these artists, I can now add Frederic Soulacroix. His work is definitely Victorian in flavour, and reminiscent of Leighton and particularly Alma-Tadema. 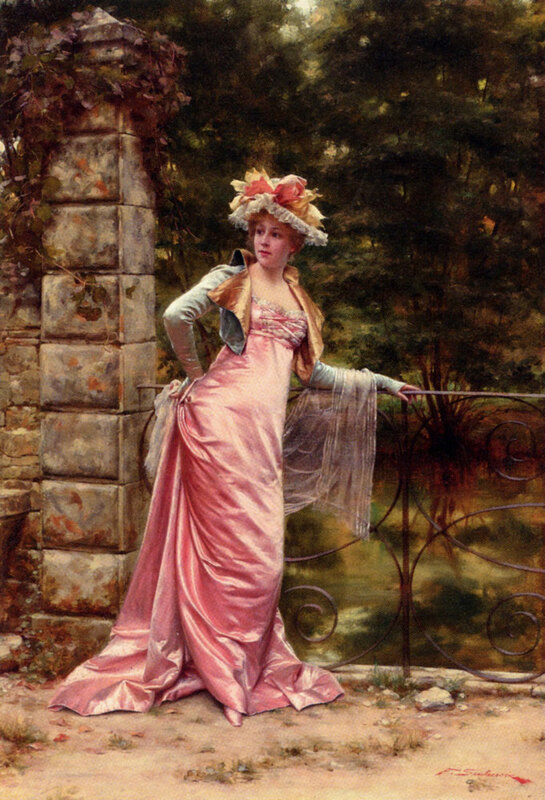 But the fashions are Regency (or perhaps, in his case, Empire), and the colours are luminous. 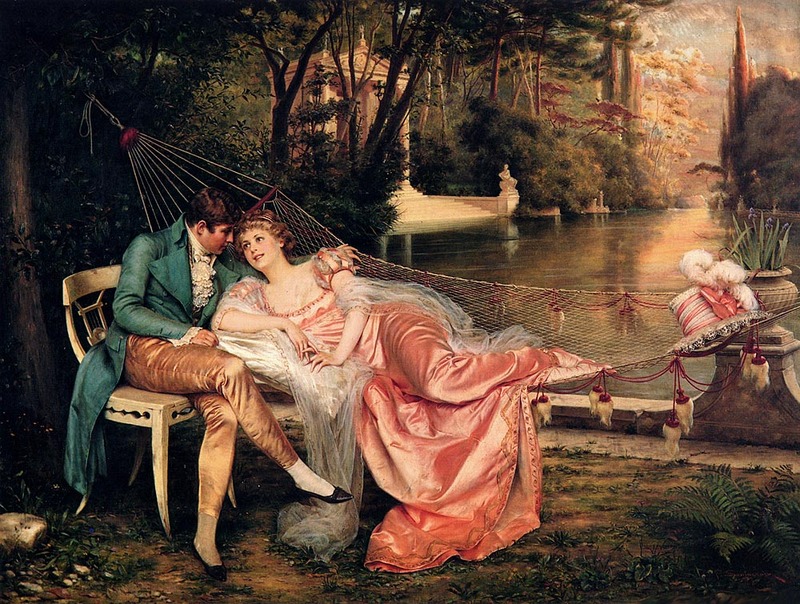 The paintings are saccharine sweet, and chocolate- box pretty and, I think, utterly charming. The room shows definite Victorian influence but this is "The Afternoon Visitor"
I could go on and on posting Soulacroix's work, but if you Google his name under the Image search you will find all his paintings. And Wikimedia Commons has the above copyright free images for download. I hope you enjoy them as much as I do. Next week, Regency author Heidi Ashworth will be visiting to discuss the Prince Regent, later George IV. 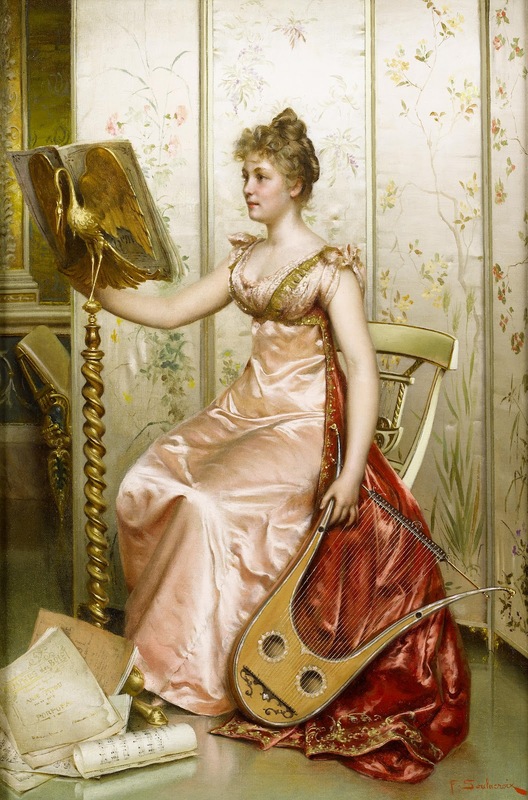 Heidi wrote her first Regency novel at age ten, and in her twenties' wrote several more. After several years devoted to other roles, she returned to writing, submitted Miss Delacourt Speaks Her Mind to Avalon Books and sold it. Shortly thereafter, she started a blog and a website which you can visit at http://www.heidiashworth.com and http://www.heidiashworth.blogspot.com/! When I began to write my book The Education of Portia, I did a considerable amount of research on education of girls in Regency England. I read about governesses, dame schools, visiting masters, and boarding schools. I read about good schools with solid curricula and schools that taught only the trifling accomplishments that society required. One thing that struck me however was the quantity of books--we would call them textbooks--that were available to teachers who really wanted to impart knowledge to their students. I like to think they are the books Portia Crossmichael, the headmistress of the Mansion House Establishment for Young Ladies, would have used. In fact, I had hoped to be able to slip in some of the remarkable titles in my writing of the story, but in the end, I couldn't do that. And I'm glad I didn't! Nevertheless the books are worth considering. In the halls of Eton and Harrow, the classics were nearly all that was taught. In the broader world, and particularly in the Dissenting Academies, more subjects were pursued, and there were books to work from in every area, some specifically written for young ladies. The Young Ladies' New Guide to Arithmetic; being a short and useful Selection; containing, besides the common and necessary Rules, the Application of each Rule, by a Variety of practical Questions, chiefly domestic Affairs; together with the Method of making out Bills of Parcels, Book Debts, Receipts, etc. etc. -- For the Use of Ladies Schools and private Teachers. An Introduction to the Use of the Globes, for Youth of both Sexes; particularly designed for Schools and private Teachers. Containing Definitions and Problems in Geometry; the stereographic Projection of the Sphere; the Rise and Progress of Geography and Astronomy; the Description of the principal Lines on the Globes, with the Application of them by Forty-six Problems on the Terrestrial , and Twenty-two on the Celestial, with the Use of the Analemma and sliding Hour-Circle, selected with Particular Attention; likewise a Representation and Epitome of the Solar System, Armillary Sphere, Comets, fixed Stars, Constellations, etc. To which is added, a Variety of curious, entertaining and useful Paradoxes; with some Questions and Answers by Way of Application. Both of these titles were listed in The British Critic of 1805, and seemed still to be in publication fifty years later. That is one noticeable feature of these texts, they were reprinted in multiple editions over long periods. Some had first appeared in the late 1700's, and were still in print more than seventy years later. John Walker's "Elements of Geography and of Natural and Civil History" comprised of nine sections, all detailed on the title page, was first published in 1788. Portions of it were in use in "The new Pocket Cyclopedaedia" in 1813, and it was still around in 1850 when John Worcester referenced it. Sir Richard was an prolific writer of educational texts. He produced "A Grammar of Natural and Experimental Philosophy"again under the name of Rev. Blair, "A Geographical View of the World, embracing the manners, customs and pursuits of Every Nation" under the name of Rev. J. Goldsmith, as well as "An Easy Grammar of Geography" under the same name. Finally, he published "The Universal Preceptor; being a General Grammar of Arts, Sciences, and Useful Knowledge" encapsulating all his previous work in one comprehensive volume. Morals were well covered by the educational writers of the time. "The Blessings of Morality", "Minor Morals", "A Mother's Advice to her Absent Daughter" were among the many volumes published. Likewise, young ladies, and gentlemen, were encouraged by books like "Letters on the Improvement of the Mind" by Hester Chapone, and "Improvement of the Mind" by Isaac Watts. There was no dearth of educational material, and really no excuse for a school or a governess to teach only manners, dance, needlework, a little French, and 'the use of the globes'. 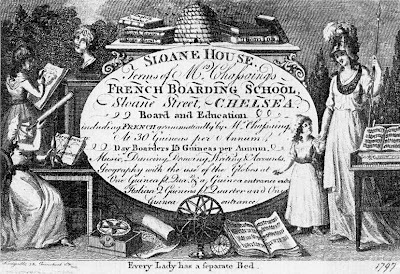 The school advertised above seems to offer at least a modicum of solid education: writing, accounts and geography, in addition to music, dancing and drawing. I wonder if they used any of the texts I have mentioned! 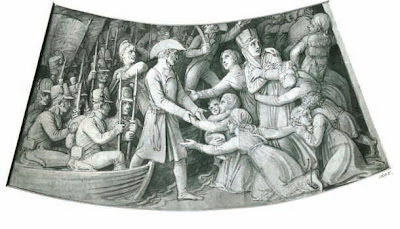 Thank you very much to guest blogger Diane Gaston for her informative post on the Regency Army Officer last week. Diane offered a giveaway of her novel Gallant Officer, Forbidden Lady, and the winner was Anne Gallagher! Congratulations, Anne! The artist who was commissioned to design the elements of the shield was Thomas Stothard (17 August 1755 - 27 April 1834). He was a prolific artist and engraver, and his work was well-known in the Regency. Campbell Fine Art has a listing for a set of the etchings which Stothard produced of the designs for the shield. 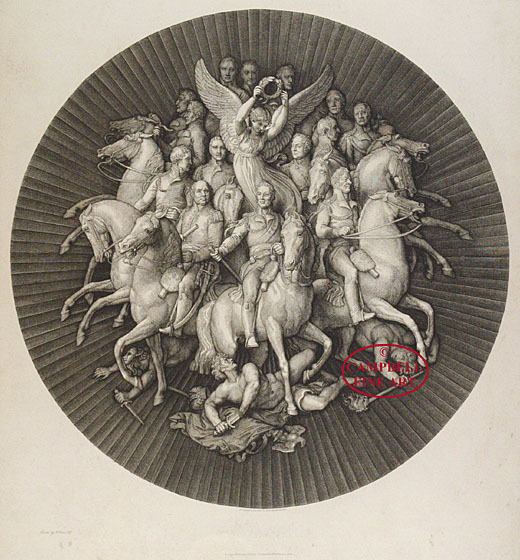 Below is the central roundel, described above, courtesy Campbell Fine Art. The Wellington Shield is part of a great assemblage of commemorative gifts that were presented to the Duke of Wellington over many years. Each great victory, it seems, was commemorated by some gift of other. English Heritage's Apsley House displays a collection of these gifts, and has produced an excellent PDF of their tour sheet of the display. I have been unable to locate a picture of the Wellington Shield in its entirety--rather surprising really. The English Heritage tour sheet shows many of the other commemorative items presented to Wellington. They include such diverse objects as candelabra, Silver Keys of the Cities of Pamplona and Ciudad Rodrigo, pieces of porcelain such as tureens and vases (and an entire service of Meissen porcelain), and a silver centrepiece by renowned silversmith Paul Storr. 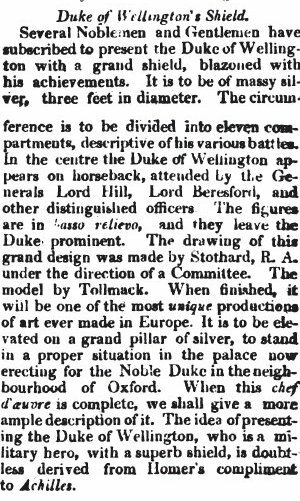 It occurs to me to wonder what the illustrious Duke thought of these gifts. They were honours bestowed certainly, but were they also a nuisance? One had after all to house and display them, scarcely making for a cosy family home. Did he regard them with resignation as burdens that went with the job of work he had done for his nation? Or did he take pride in every one: appreciating their beauty, recognizing the gratitude with which they were given, and enjoying the scenes of his success which they displayed? I hope he enjoyed them. Certainly they give great pleasure to those of us who view them two hundred years later.